New, young voters are becoming the most powerful democratic voice in the US. We've made it easy to get involved. It's your turn to lead. TN Civic Youth is a statewide non-partisan coalition of high school students entering the democratic process together. 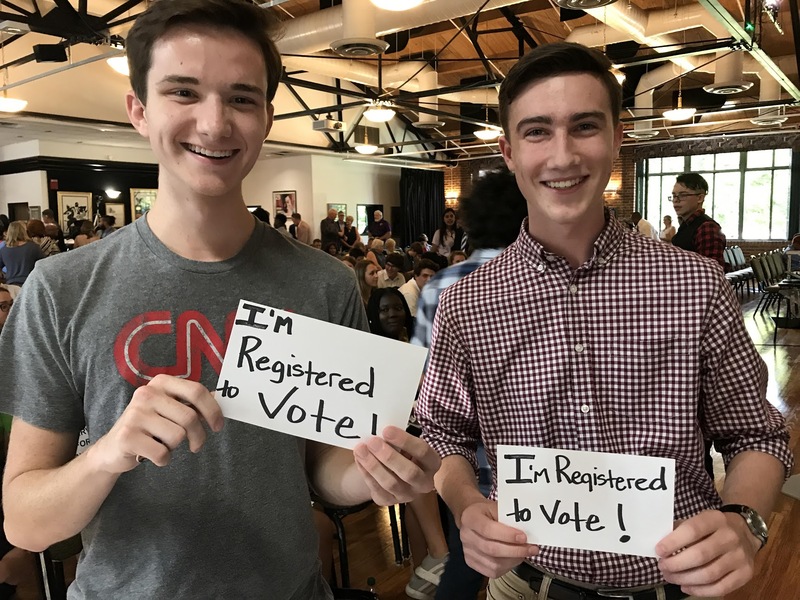 With Tennessee being ranked 49th in voter turnout and with over 750,000 unregistered voters statewide, students are recognizing their power in numbers. Our coalition works to introduce new voters to the democratic process while providing them the resources they need to get involved. First, sign up to register to vote using our quick online registration portal. Once you're registered, sign up for election reminders to stay up to date on important election information. Once you're registered to vote and have told some friends, join our statewide voter engagement initiative to partner with local organizations spanning a broad range of issues.